Air-clear is the purpose developed, multi-purpose sanitising cleaner for maintenance operations on AC units. A highly effective sanitiser for condensate pan cleaning, coil cleaning and general unit surface cleaner. Air-clear removes the biofilms that allow bacteria and odours to survive, immediately deodorising and keeping them at bay. Air-clear cleaning sanitiser’s fragrance-free and extremely powerful formulation ensures a hygienic protection never seen before. The coating prevents biofilms that allow bacteria, mould and odours to survive. The spray prevents and controls bacteria and microbes on contact, faster than conventional chemicals on the market, and continues to protect your unit with an invisible antimicrobial layer, which is left on the surface after wiping. This is a super effective shield, protecting the surfaces from airborne bacteria and bio-aerosols for long periods after use. 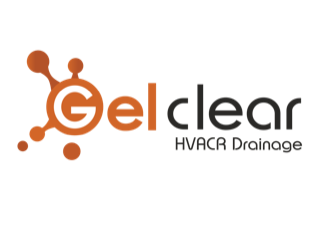 Air-clear technology is purpose developed for AC units to kill a wide array of germs, including Enveloped viruses and MRSA. CLEANS: Effective both inside and outside of the unit, disinfects the coil, cleans the surfaces. No need to rinse. SANITISES: Air-clear works faster than conventional chemicals, to a higher sanitary standard. PROTECTS: Antimicrobial coating lasts for up to 3 weeks, preventing recurrence of surface biofilms. For longer protection, after cleaning, spray all surface and allow to dry naturally to extend coating lifespan.